The Mentalist: When Will the Red John Killer Case be Solved? Patrick Jane (Simon Baker) on The Mentalist may be one of television’s smartest characters but it’s going to take him quite awhile before he can solve the Red John case. The series’ producer is saving that little tidbit until the series finale. And, what about a relationship between Patrick and Teresa? 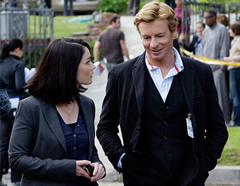 The Mentalist premiered on CBS last Fall and emerged as one of the season’s only breakout hits. The series revolves around an incredibly observant former conman (Baker) who helps the California Bureau of Investigation (CBI) solve cases. Aside from Baker, the series features the talents of Robin Tunney, Tim Kang, Owain Yeoman, Amanda Righetti, Gregory Itzin and Maxine Bahns. The creative brains of The Mentalist have learned a few things from television history, particularly Moonlighting. Though lots of fans of the popular series wanted the main characters (played by Bruce Willis and Cybill Shepherd) to get together, once it happened many lost interest. The series ended 20 years ago next month. Should Patrick and Teresa hook up? It’s for that reason that you won’t be seeing Patrick and Teresa getting together any time soon. At the recent Mentalist spotlight at the annual Paley Festival, the actors said that the two characters have very different personalities and approaches to their work. Series creator Bruno Heller said that he believed putting them together would spell the end of the show. As a result, you won’t see any romance between the two — at least until the very end of the series. You’ll also have to wait until the series finale to see the Red John case solved. A serial killer by the name of Red John murdered Patrick’s family five years before the series began. Those who follow the show religiously may have noticed that each episode’s title has some form of the color red in it (Redwood, Scarlett Fever, Red Rum, etc.) — a subtle way of indicating that the killer is always on Patrick’s mind. Though the series finale isn’t written yet, Heller knows how the story will end. He said, “I got the bones of it, yeah. I know where I’m taking it.” Though viewers would like to see the mystery solved, most are willing to wait a long time for The Mentalist to end. The Mentalist: To Be Cancelled or Renewed for Season Seven? teresa. solve red john, and put another serial killer. It was announced in July that the identity of “Red John” will be revealed during “The Mentalist”‘s sixth season. Not sure if this means the “Red John” case will be solved during this season. The show’s sagging ratings probably had something to do with this announcement, and CBS could probably cancel the show after season six. Are you kidding me????? One of the few really good shows on the Big 3 networks and you are taking it off. And you wonder why usa, bravo, etc. are taking over. YOU JUST DON’T GET IT. Save yourselves and keep it on. PLEASE. cheryl » Not sure what you’re talking about. The Mentalist hasn’t been cancelled. This show is one of the best I’ve ever seen if I were the producer I’d solve the red John case as a season finale but then introduce a new serial killer to keep the show going. Why cancel a very good show, I think that the show has a good story as well as giving a little in site as to what you may notice if you look out side the box. 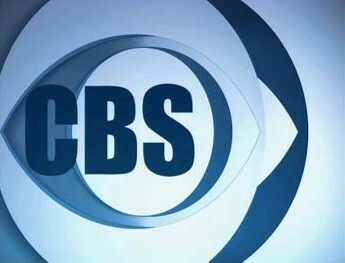 I hope CBS rethinks this and runs it for at least 1 more season, but they do need to watch their story lines there was a couple that were out there. I love this show but hearing talks about ideas how to end it kind of get me scared. Does the creator know something that we haven’t been told yet? I hope this show isn’t being canceled as many of the greatest shows this year have been.